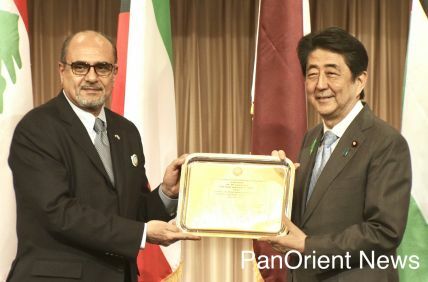 Tokyo - (PanOrient News) Two large Japanese companies, Casio Computer Co. Ltd. and Honda Motor Co. Ltd., announced the release of a new collaboration watch on Wednesday. 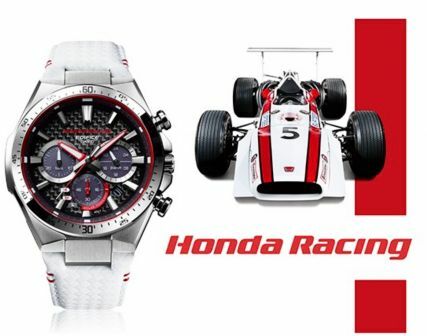 The watch’s design is inspired by Honda Racing, which pursues motor racing around the world. The EQS-800HR, as the watch is called, is the latest in the EDIFICE line of chronographs (combination display and stopwatches) and incorporates Honda Racing’s red and white color scheme into its sporty design. Specific features of the 103 gram solar-powered EQS-800HR include water resistance up to a depth of 100 meters and approximately five months battery operating time. Casio EDIFICE and Honda Racing both support the Scuderia Toro Rosso Formula One team, a motor racing team owned by Red Bull. The team will compete in the Japanese Grand Prix in Suzuka Oct. 5-7.